Hallo guys :) How are you today ? Hope you always fine. 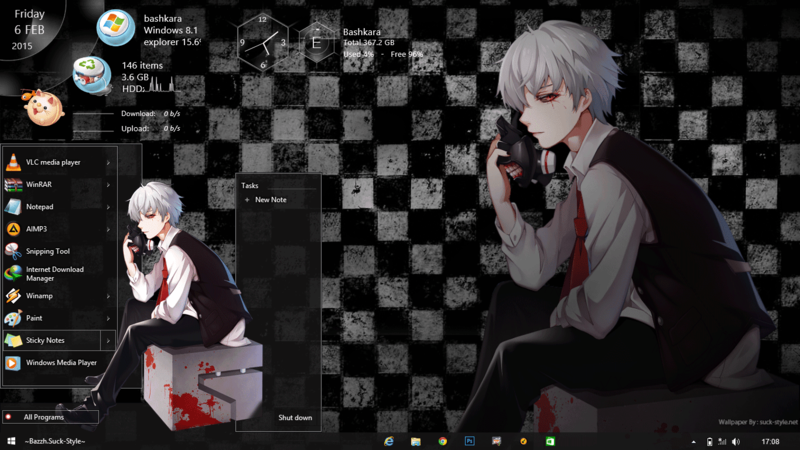 Today is special for me, because for the first time, I released Theme Anime for Windows 8/8.1. You all have been know right that windows 8 is not have start menu. So why my theme used startmenu because I used StartisBack. ( This is Optional ) If you want, you can download it in tutorial Win8/8.1, but if not just ignore and follow the other instruction. Because I have prepared 2 theme ( with and without StartMenu ). 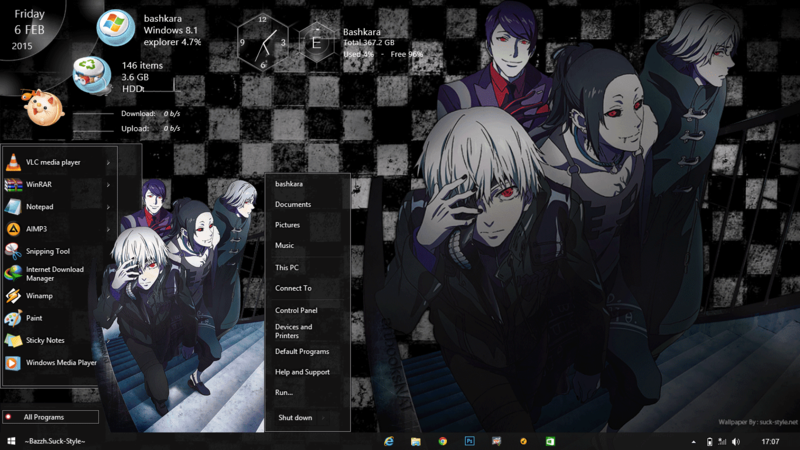 As you can see in the first screenshot, I made the start menu by adapting from windows 7 themes. With size 600 px for width and 500 px for height. And I made it with transparent style too. Next for the second screenshot, it's only change when you drag your mouse or click the arrow in existing program at start menu. The size of this different with the first, because I make it with size 550 px for width and 500 px for height. In this part, I made Color of windows explorer fit with render or image of the character. And actually this theme will be better with aero glass. But because win 8 used solid color and no aero. You can't see or feel it before you install aeroglass ( this is optional too ) You can search the software in google if you want. So guys, I hope you enjoy the theme and Please feel free to leave comment. That's not part of theme, you can do it manually. You can search it in google " how to center your pinned icon on windows taskbar "
can u give me the link make center in pinned icon?? U're The Great Editor that i think.....I'd like to waiting all the best next time Bro!!! Where do I find the password to release the installation? 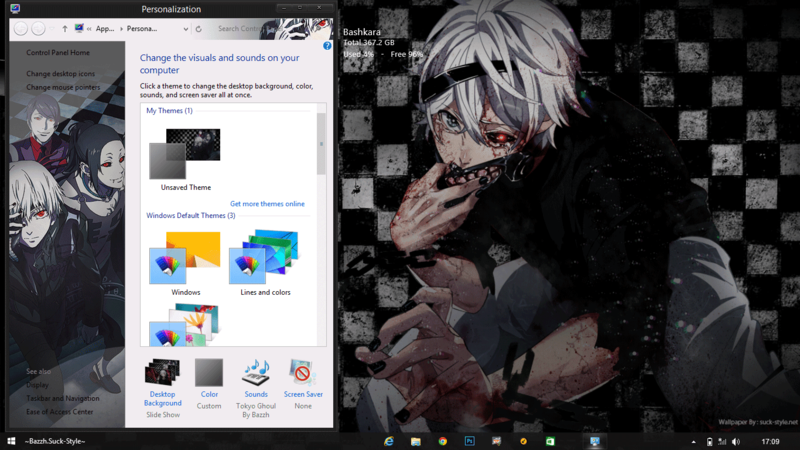 i dont have the start menu and all progrms its the default windows 8 ,how do get that? how can i turn back my computer theme back to normal theme?